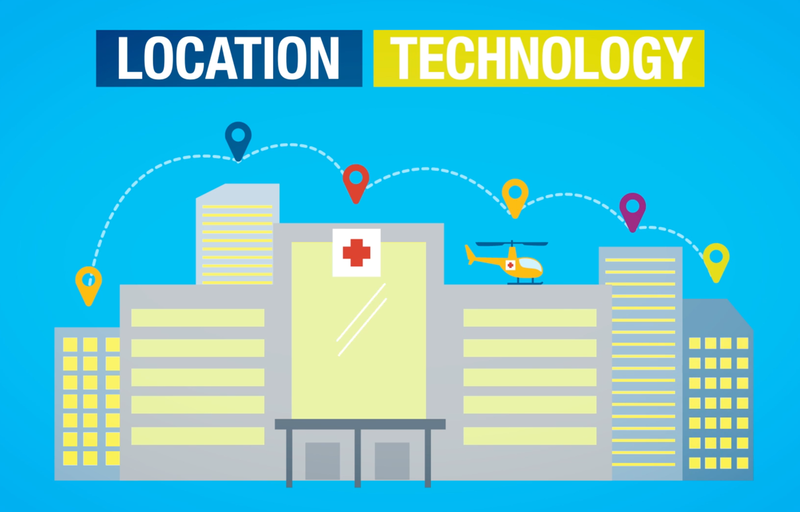 Accurate, fast, power-efficient and cost-effective location and sensing services for healthcare. Clinical-grade technology designed for scalability, ease of use and operational efficiency to transform patient care. Maximize joint success with on-going technical support, advanced integrations, implementation support and certifications. Explore Centrak’s collection of content, product overviews, videos, customer testimonials, an ROI calculator and more. CenTrak improves healthcare operational workflow and the quality of patient care via the industry’s most robust and scalable Enterprise Location Services offering. With a unique combination of technology and the largest selection of tags for all types of patient care environments, CenTrak enables healthcare facilities to maximize the ROI from their Real-Time Location System (RTLS) platform. It’s more than just a hospital tracking system – it provides actionable location and condition data across the entire healthcare enterprise. CenTrak has helped over 1,700 world-class healthcare facilities increase productivity, streamline workflows, drive higher patient and staff satisfaction and reduce costs. What makes the difference in RTLS? CenTrak’s patented Second Generation Infrared (Gen2IR™) technology delivers certainty-based location with the capability of segmenting spaces into clinically meaningful zones. For clinical applications, zones are typically patient rooms, beds, bays, nursing stations, hallway segments and other relevant workflow areas. CenTrak’s platform delivers rapid location and condition updates capable of capturing interactions between equipment, patients and staff within seconds. The collection of clinical milestones are also facilitated using immediate button presses. CenTrak provides the only Real-Time Location System specifically engineered to handle the speed, precision and rigors of today’s healthcare environment. CenTrak’s RTLS is battery-powered, easy to install and can leverage existing Wi-Fi infrastructure. Battery-powered devices are installed in patient care areas without the need to close rooms or deploy special infection prevention measures, resulting in little-to-no operational downtime. In addition to being the most accurate hospital asset tracking system, CenTrak’s Clinical-Grade Visibility technology is an open location platform that can integrate seamlessly with both existing and new applications including Nurse Call, Electronic Health Records, Capacity Management, Bed Management, Asset Management, Computerized Maintenance Management and Hand Hygiene Compliance. CenTrak’s healthcare RTLS solution helps you focus on certain areas of your facility that are essential to patient satisfaction. It’s a smarter healthcare tracking system that helps care facilities strengthen their financial outlook and optimize patient outcomes. CenTrak’s Enterprise Location Services have huge benefits for medical staff, patients and families alike. Asset Management— Allow healthcare facilities to easily determine the exact location of tagged assets to reduce equipment shrinkage/hoarding, decrease the time staff spend searching for equipment, and automate PAR-level management. Nurse Call Automation — Provide enhanced communication capabilities for staff, faster response times for patients and robust data collection for administrative reporting and analysis. Clinical Workflow — Examine how care is delivered, eliminate bottlenecks, and identify new ways to improve efficiency, quality, capacity and revenues. Wander Management — Empower patients and residents with a feeling of control and freedom while ensuring their safety and security. Infant Protection — Ensure newborns are protected and always properly matched with the correct mother with CenTrak newbaby™, the most advanced security & location platform. Hand Hygiene Compliance — Help healthcare facilities better manage infection risk and provide a cost-effective approach to capture compliance and noncompliance events 24/7. Environmental Monitoring — Meet compliance standards and prevent product loss with CenTrak Spectrum™ - wireless temperature and environmental monitoring that eliminates the need for manual reporting of storage conditions. Staff Duress — Deploy immediate responses during emergencies by instantly locating the staff member under duress. Assistance is only a simple button-press away. Infection Control/Contact Tracing — Track interactions between patients, clinical staff and facility equipment to contain infectious outbreaks. Wayfinding — Provide visitors with clear and simple turn-by-turn directions directly to a user's Bluetooth-enabled device.